With its presence growing bigger and reaching further every day, cloud computing has become the new technology that businesses are now turning to. Cloud computing comprises of three delivery service models: infrastructure as a service (IaaS), platform as a service (PaaS), and software as a service (SaaS). Among the three delivery service method mentioned, cloud computing can also be conducted via various cloud options. A public cloud, private cloud, or hybrid cloud of both public and private can be utilized for cloud computing depending on the companies needs. The software as a service model delivers ready to use applications that use cloud-based compute and storage services to organizations. Users are offered a pay per use, on-demand service of applications to users. Platform independent, this service does not need the software to be downloaded. The cloud runs the software in a single instance that allows for multiple end users, making cloud computing more cost effective. The platform as a service model delivers a developmental environment to compute and deploy applications. This service is comprised of a programming language domain, an operating system, a web server and a database. PaaS allows for users to develop, maintain, and manage applications and application resources. With business needs ever-changing, cloud computing can aide in the optimization of IT infrastructure. Infrastructure as a service offers all computing resources, including: data storage, virtualization, servers, and networks. As demand increases, the purchase and set up of new servers is called for. Whether the servers or in use or not, companies have to continue to pay for the service. This hosting process to keep up with the fluctuations of demand is high in cost and time. With cloud computing, access to computing power is instant. By utilizing a cloud server, businesses can use their computing power on-demand to scale up or down as needed. If traffic declines, cloud servers can be released back into the cloud without continuing to pay for it like with physical servers. Cloud servers accumulate costs similar to an electricity bill, a pay per use method. Companies only pay from the moment cloud servers are switched on up until the time usage ceases. Cloud servers are able to be remotely accessed, all the while remaining simple, reliable and stable. In the case of an inevitable disaster that affects the function of physical servers, cloud servers are the reliable solution that maintains consistent operations with decreased downtime. It ensures that critical business processes can continue with data backup and recovery. Since a component of cloud computing is network accessibility, critical enterprise actions can be resumed if a disaster were to strike. Cloud computing has a number of benefits and characteristics. On demand service, network access, shared resources, and scalability have all attributed the cloud’s ever growing popularity and widespread adoption of the new technology. It can now be easier, more cost and time efficient, and convenient conduct business. RackWare offers a service to move, protect and manage applications across any physical, virtual or cloud environments. RackWare accelerates and automates data migrations, applications are protected through disaster recovery and backup, and systems are managed across multiple cloud and physical platforms. 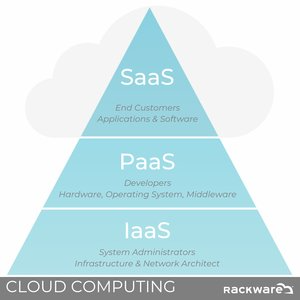 RackWare is the one stop shop for all enterprise cloud needs.